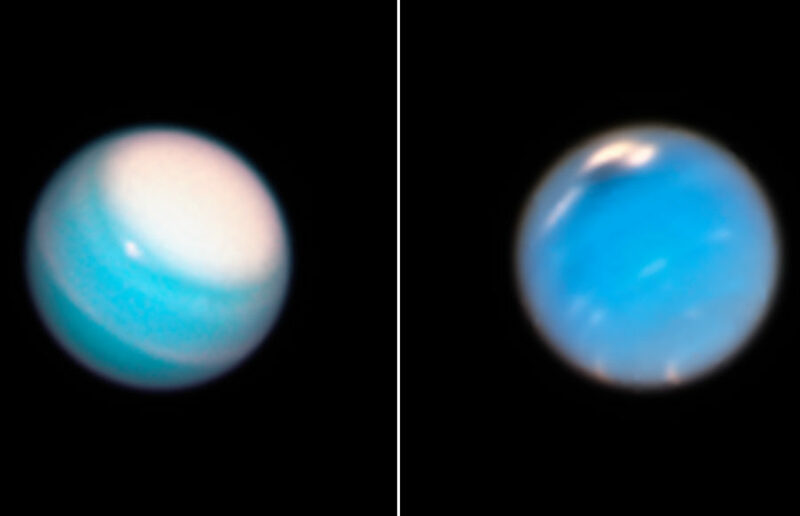 A team of UC Berkeley astronomers, along with an undergraduate contributor, analyzed a series of Uranus and Neptune NASA photos released in late 2018, discovering new information about the planets’ atmospheres. Move over Hubble — there’s a new telescope in town. Two UC Berkeley astronomy professors will lead research teams to test the capabilities of NASA’s James Webb Space Telescope, or JWST, which will replace the Hubble telescope. UC Berkeley astronomers successfully gathered data from beneath Jupiter’s clouds after developing a new atmospheric mapping technique using radio spectral imaging, publishing their findings Friday in the journal Science. The surface of Uranus has been nebulous to astronomers for years, but researchers at UC Berkeley and the University of Wisconsin-Madison have studied the planet’s weather patterns and gained some clarity as to what its surface looks like.